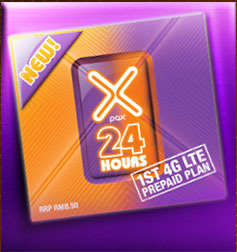 If you are Celcom prepaid subscribers, you should have know current Celcom prepaid plan is XPAX24. Although the current one is XPAX24, but if you’re X2 or Xpax (15pax) subscribers, you’re allowed to maintain your current plan until further notice or whenever you want to convert to XPAX24. I understand why you want to keep your current plan instead of converting to XPAX24, especially 15pax, because 15pax gives (soon will become history) you RM 0.005/sms to the numbers belongs to Celcom networks.